A listener wrote in for help processing the emotional fallout of her abortion. Jessica advises. What do you do when you feel like an alien, and you're not sure where you're going? A listener wrote in to ask about life after the Saturn Return. Breaking up is hard to do. A listener wrote in to ask how a sensitive person can do what she knows will hurt others, and Lanyadoo has answers. In the third and final part of An Evening of Mediumship, Jessica delivers more messages from loved ones who've passed on – including one from an animal friend! At a live evening of mediumship in San Francisco, Jessica delivered messages from loved ones who've passed on. In this week's GOAP you can hear some of those readings. A listener asks how to know when pushing yourself to be more forgiving is good versus when you're expecting too much from yourself. This week Jessica answers six different listener questions, and touches on love, astrology, and hard times. A listener wrote in to ask if her powerful connection with her ex might be a Twin Flame. It's Jessica's birthday! In this episode she talks about aging, having a face, and the value of fear. This episode starts with Lanyadoo offering some practical tips for creating resolutions that actually work. A listener wrote in at a loss with how to deal with her family, and Lanyadoo gives her advice to help her cope. This week's horoscope reminds us that we're all connected. A listener's mom passed away less than six months ago, and she isn't sure how to cope. Lanyadoo shares her gifts as a Medium in this special episode. Lanyadoo offers helpful tips and birth chart advice for coping with sleep problems. A listener asks: "How can I honor my intuition without sacrificing the awesome and sometimes scary opportunities that life affords?" and Lanyadoo has answers. A listener wrote in to ask how astrologers decide what’s important to tell their clients. A listener wrote in this week on the verge of shutting down and giving up. Lanyadoo looks at her chart and gives practical advice to help her make it through. Lanyadoo gives Heather Matarazzo an astrology reading and checks in with a lost loved one. Lanyadoo answers a handful of listener questions about how astrology works. Lanyadoo is joined by a special guest to talk about spirituality and astrology, while noshing on cookies. Just in time for Venus Retrograde, a listener asks Lanyadoo a loaded question about money, and then at just past the 10min mark, it's time for this week's horoscope. For more go to lovelanyadoo.com. How do you handle the stressed out feelings that come up after asserting your boundaries? A listener asks, and Lanyadoo gives her step-by-step answers for having good boundaries with herself. How much chill is too much? A listener asks about her energy level for what she's most passionate about, and Lanyadoo offers Pro Tips for finding peace with her pace. ☞ At the 15min mark it's horoscope time! Come for your horoscope, stay for the life-changing advice! A grieving listener wrote in to ask about life after death – for cats. Lanyadoo loves giving you advice to help you help yourself. Episode 2 - It's a Solar Eclipse in always-extra Leo! On August 11th, 2018 at 1:58amPST there's a Solar Eclipse in Leo. Hi - I love you! 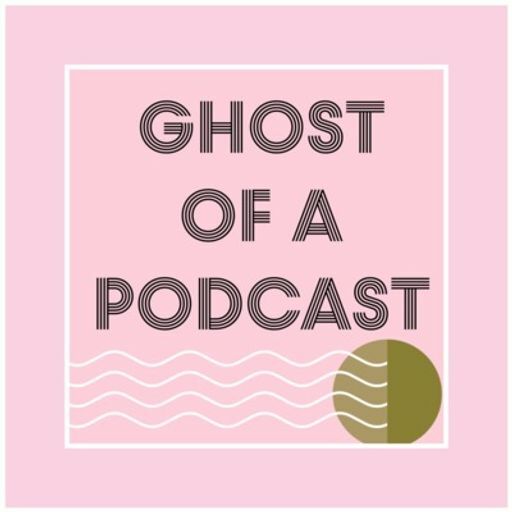 In this, the very first episode of Ghost of a Podcast, Lanyadoo gives you your horoscope for the week ahead homework to help you help yourself.